The growing tension between the US and Russia over the recent developments in Ukraine has been overshadowed by the growing threat of Jihadist extremism in the Middle East. The potentially catastrophic consequences of the unfolding scenario in the Middle East are largely downplayed. The Ukraine “dossier” can only lead to the redistribution of gas markets and spheres of influence in favor of one of the world powers or a group of countries. While the rise of the Islamic State of Iraq and the Levant (ISIL) can lead to global destabilization that will corrode the international law system itself. 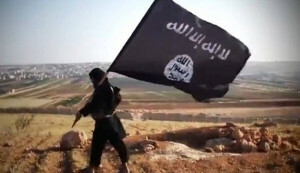 Middle East experts are very well aware of all the stages of Washington’s and Riyadh’s relations with al-Qaeda and its leader Osama bin Laden from the initial stage when the former provided it with financial assistance to the consequent hostile actions of recognizing it as a terrorist organization and the physical liquidation of Osama bin Laden. So while ISIL existence is still beneficial for the US, we can expect that it will be sent to destroy Damascuss once a new multi-confessional government is formed in Baghdad. This basically means that the people of Syria who have been experiencing the fear of detention or physical liquidation for the last 3 years on a daily basis will face a new age of barbarity and slavery. It’s a well known fact that Washington and Teheran are keeping a keen eye on the process of formation of a new government in Iraq, and both try to influence it as hard as they can. Meanwhile, the humanitarian conditions in Syria are deteriorating at a rapid pace to the point when they start affecting Syrian neighbors – Jordan, Lebanon, Iraq and Turkey. Regardless of the direction ISIL is going to expand, sooner or later it will target Saudi Arabia and other Gulf monarchies. I can assure you that Washington think tanks are well aware of the threat that ISIL is posing to the US security and the well-being of it allies in the Middle East. But regardless of the strategy the White House is going to acquire, the bomb is already ticking. At the same time Russia maintains close ties with all the major players in the Middle East, is well aware of the fact that ISIL can jeopardize its security. And even today regardless of the fact that Russia’s relations with NATO have hit an all time low due to NATO’s expansion plans and the ongoing conflicts in the former Soviet Union zones, Russia seems to be willing to cooperate with the West in its fight against ISIL. Kremlin’s assistance would be particularly handy in talks with the Kurds that are fighting the ISIL militants today. Moscow must be willing to carry out air strikes against the islamist positions in Syria upon Damascus’ request. Just like the US is bombarding ISIL in Iraq which has proven to be an effective countermeasure. Despite the importance of international humanitarian aid to Syria and its refugees in neighboring countries, a crucial role in stabilizing the situation in the country can be played by attempts to initiate Syria’s economic recovery. In contrast to the oil-rich Iraq, where export revenues pay for the social security needs, the only means of improving the living conditions in war-torn Syria is the external assistance and investments. There’s only one obstacle to that – the EU and US economic sanctions against the regime in Damascus. So we’ve got a vicious circle: Syrian government is not able to maintain social infrastructure, power production and oil and gas extractions, and foreign companies which had previously been working in Syria, such as Canadian Suncor Energy, Croatian INA, Italian ENI, French Total or British Gulfsands Petroleum are willing to jump in, but this will be an act of defiance as far as the international sanctions go. Thus Syrian projects are now being badly managed by regional groups that pursue their own interests. The more or less decently managed projects in Syria today are those run by China’s Sinopec and Russia’s Stroytransgaz in the electricity sector. At the same time, another Russian company Soyuzneftegaz had to abandon a large gas project on its final stage due to the international sanctions and reputation risks. It is clear that the sanctions are to be weakened or even lifted for international companies to be willing to resume their work in Syria, even in the face of ongoing instability, as it it was the case in Iraq. It would be highly beneficial for the EU to resume its operations in Syria for purely economic reasons. The development of oil and gas deposits of the Eastern Mediterranean shelf would allow the EU to diversify its energy supplies and ensure its energy security for decades. The Islamist militants have recently succeeded in taking a hold of the Shaar gas field along with a number of other oil fields can potentially trigger the collapse of Syrian economy. This course of events can in turn blow a strike against all Syria’s neighbors that will be forced to accommodate new waves of refugees. According to Carol Batchelor the UN High Commissioner for Refugee representative to Turkey by the end of 2014 the number of Syrian refugees residing in Turkey alone will reach 1.5 million people. President Obama while commenting on the beheading of an American journalist James Foley called for a common effort to extract the ISIL cancer, so that it does not spread. It seems that Obama is not capable of stopping the anti-Russian steamroller fast enough to make cooperation with Russia over Iraq and Syria a viable option. It may be easier for Washington to bring Iran and Iraq to the fight against ISIL, without even making peace with Assad. But the fight against jihadists is not a matter of choosing convenient allies, it’s all about their ability to counter the growing threat effectively. Under this pretext it seems that despite the tension between Russia and the United States over Ukraine, those two are sharing common geopolitical interests in certain areas around the globe, so they must be capable of taking joint measures. The global challenge of ISIL is significant enough for Washington and Moscow to form a tactical alliance.